The UW-Madison’s College of Engineering will partner with Argonne to leverage complementary expertise in advanced manufacturing. The University of Wisconsin-Madison (UW-Madison) and the U.S. Department of Energy’s (DOE) Argonne National Laboratory signed a memorandum of understanding to build partnerships to accelerate the development of technologies to fuel growth in the $1.2 trillion manufacturing sector, and facilitate a broad portfolio of research shared between the two institutions. The UW-Madison’s College of Engineering will partner with Argonne to leverage complementary expertise. Three important thrust areas for Argonne — the Grid Program, Nuclear Science and Engineering, and Manufacturing Science and Engineering — join forces in this collaboration. They will partner with UW-Madison in developing and testing advanced materials, nuclear engineering and power grid research and in developing new processes for making manufacturing more energy efficient and sustainable. Manufacturing accounts for roughly 25 percent of U.S. energy consumption and generates 12 percent of U.S. gross domestic product. New highly functionalized materials, chemistries and devices that can be manufactured at scale can open up new sources of energy and product lines. Argonne launched a lab-wide manufacturing science and engineering initiative to capitalize on unique strengths in materials and chemistry, X-ray science and advanced computing to build breakthrough technologies. In addition, Argonne’s grid program investigates future technologies including micro and macro electric smart grids with integrated energy storage devices; advanced transportation systems with energy interoperability solutions; and nuclear energy systems that are safe, resilient and cost-effective. The partnership with UW-Madison will aim to increase the number of scientists, engineers and students that will collaborate with Argonne at its new Midwest manufacturing science facility. UW-Madison faculty and students will work with technical leaders in grid technology and nuclear engineering. 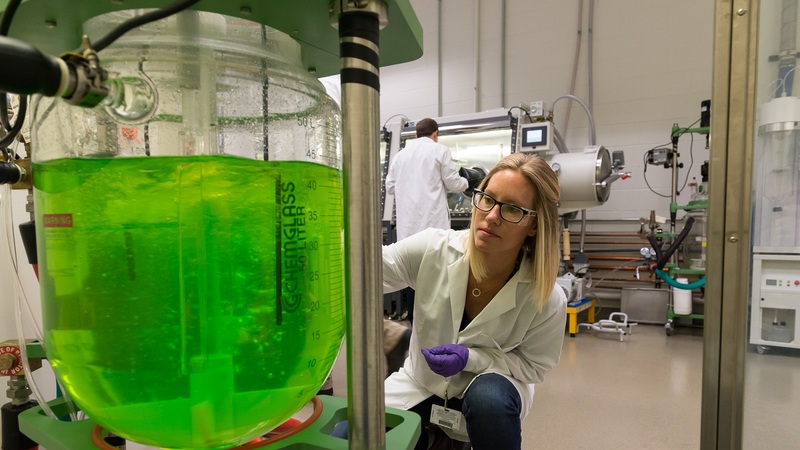 The new partnership was facilitated by Argonne’s University Partnerships Program, which aims to diversify Argonne’s workforce pipeline and increase innovation by creating new professional development opportunities for Argonne staff and supporting the development of science through collaboration. “The collaboration between UW-Madison and Argonne National Laboratory will provide an impactful technical partnership on societal needs including energy, sustainability, materials discovery and advanced manufacturing. The proximity of the university to the laboratory will permit strong personal interactions,” said Ian Robertson, UW-Madison College of Engineering dean. Sign up here: http://​eep​url​.com/​d​yRUkH to learn more about Argonne’s technologies advancing manufacturing, including energy efficient processes and advanced materials design.